Who is the Master’s aimed at? The Master’s is committed to the personal growth and professional development of its participants. People management tools, Coaching, Management skills, Framework for Labour Relations… Study a specialist field! "When I finished the Master’s, I got a job in the HR Department at Deloitte, where I am working now. " After completing my degree in Psychology at the University of Deusto, I was sure that I wanted a career in the world of Human Resources. 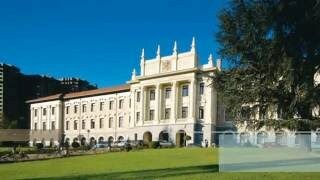 I considered various options but finally chose Deusto Business School because of its prestigious reputation, the trust and security this guarantees and the network of contacts it could give me. Another very positive aspect was the chance to do an internship in big companies. I was in two firms in the Velatia Group. My on-site supervisors were outstanding; they placed their trust in me and taught me loads. When I finished the Master’s, I got a job in the HR Department at Deloitte, where I am working now.